Ready to be Tucked Away? 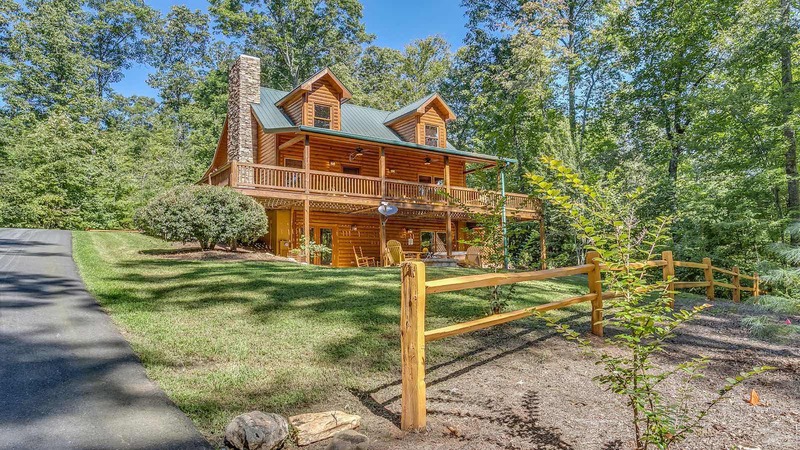 This charming cabin is just minutes from historic Downtown Blue Ridge surrounded by native Oak trees and other lovely hardwoods. 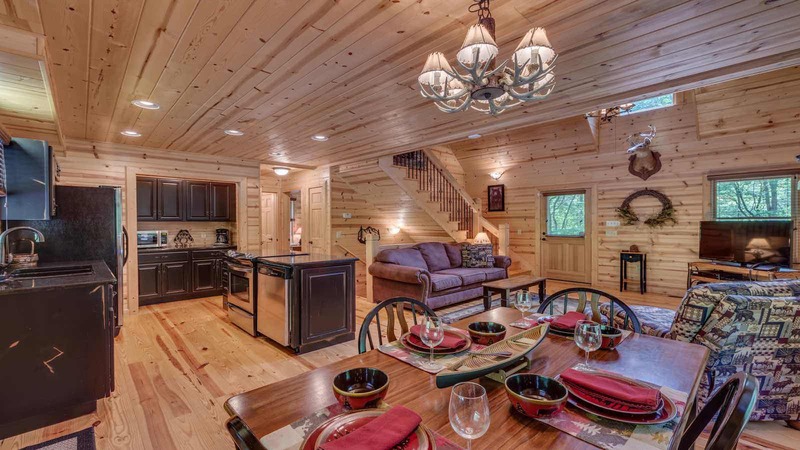 Enter the main level to find a stone fireplace with gas logs, a comfortable sofa and chair, a Flat Panel TV & DVD player. The living room flows into the dining area with seating for four guests and beautiful kitchen. This lovely kitchen features gleaming granite counter tops and vintage style black distressed cabinetry. A convenient island offers a glass top stove and additional counter/prep space for preparing meals. A few steps away will be the main level bedroom with a queen log bed, a Flat Panel TV and luxurious bedding. Adjoining this bedroom is a full bath with more gorgeous black cabinets and granite counter tops. The main level of Tucked Away has a classic wrap around porch with a propane grill conveniently waiting for your enjoyment. 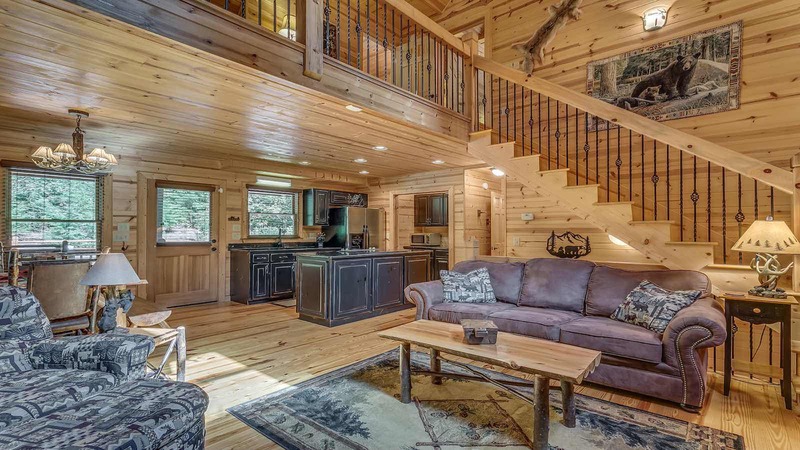 Venture up the log and wrought iron staircase to the cozy open loft featuring a day bed and small flat panel television. This level will also have a full bath and bedroom. 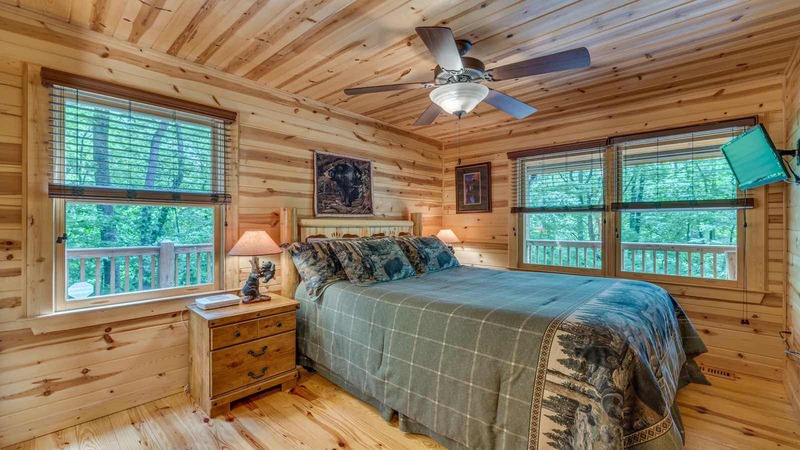 The bedroom has a beautiful queen log bed and large flat panel television as well. 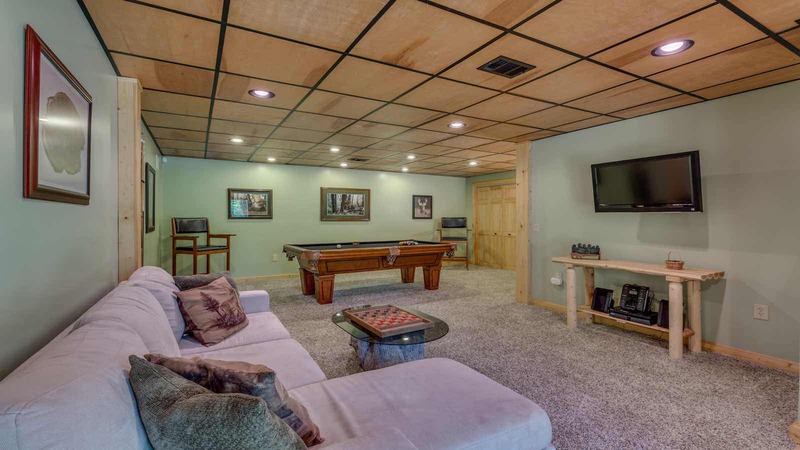 Head to the finished basement living for a game of billiards or a movie! The basement living area has a flat panel TV and DVD player, a pool table, a comfortable sofa and full bath. This also level also offers a useful sleeping nook with a full size bed! Ready to soak those cares away? Outside the basement gameroom is a quiet sitting area and hot tub. Step in and relax in the privacy of nature. 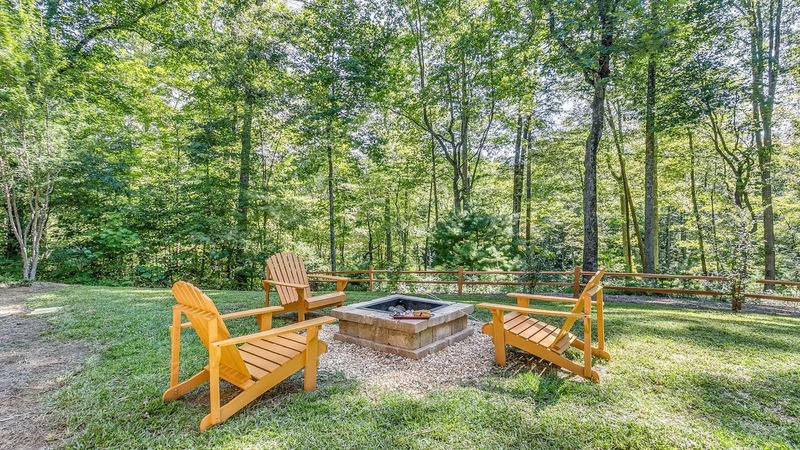 Even though you only minutes from Downtown Blue Ridge, you’ll feel miles away as you’re Tucked Away in luxury and privacy!